This week we’ve been hard at work on a level that interconnects the City of Men with the Neutral Zone. You can find details on the level together with the gameplay demo in our previous blogpost. 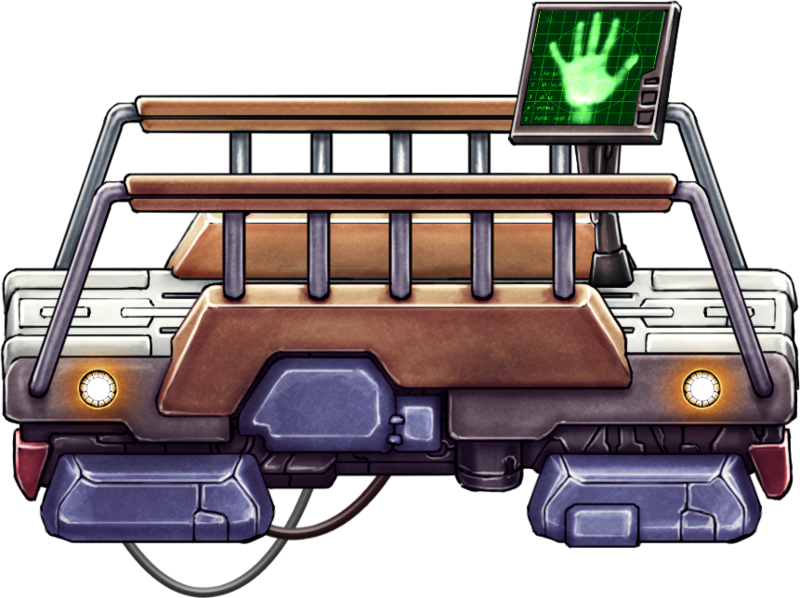 Many level elements were redrawn by our artist and added to the game. Many of the in-game hints has become more intuitive. For example, the hologram of the main character now shows in what way we can interact with the surrounding environment. In this case there is a container in our way and we must move it to get through. Riding an elevator is a breeze! And it’s not that important that the elevator goes sideways. 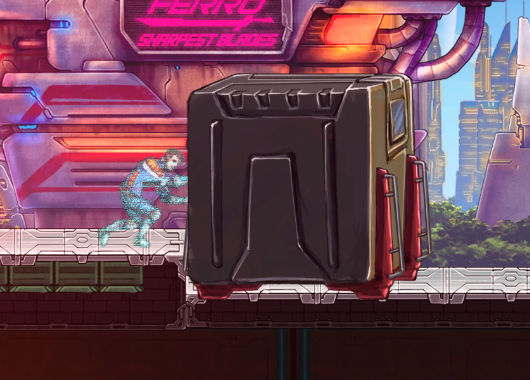 Moving platform gives a quick moment of rest in a dynamic gameplay environment, so that players would have a moment to relax and look around. A lot of handy and nifty crates were added around the level. You do remember you can interact with them, right? The biggest one is disturbing. May be someone is sitting in it? Eileen’s arrows were quick and deadly, effective but not that spectacular looking. 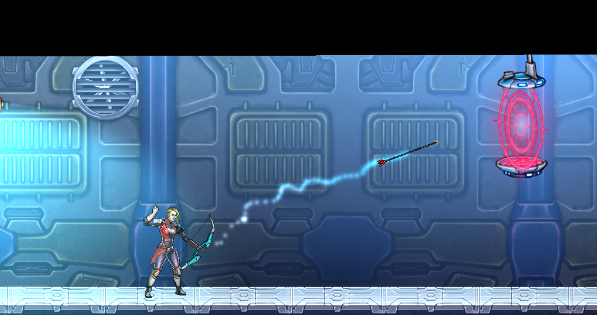 There were drawbacks from the gameplay point of view as well – it was hard for players to aim their next shot, because arrows trajectory wasn’t visible enough. After grilling our guys over the art and programming departments we got a simple yet elegant solution to the problem. Now it’s not just convenient but nice looking as well. Imagine yourself a basement, not over your grandparent’s house but on a spaceship. What crosses your mind first? Just don’t start bragging about platforms and levers, no one would believe you. And so didn’t we, and added lots of mindboggling puzzles with those things. Don’t miss them, they’re outstanding. Simple doors are trivial and boring, but how about hatches? The only thing left to do is work up the courage to jump in one of them. We are here for adventure and the unknow holds a ton of that! Well, it’s enough for today, but only for today! Because tomorrow we going to imagine and create lots of new and exciting things about which we will certainly tell you. See you next week!